Since 2014, an international collaborative of design leaders has been exploring ways in which methods can be augmented, transitioning from the heritage legacy focus on products and services towards a broad range of complex sociotechnical systems and contemporary societal problem issues. At the Fourth Relating Systems Thinking and Design (RSD4) symposium in 2015, DesignX co-founder Don Norman presented a keynote talk on the frontiers of design practice and the necessity for advanced design education for highly complex sociotechnical problems. He identified the qualities of these systems as relevant to DesignX problems, and called for systemics, transdisciplinarity and the need for high-quality observations (or evidence) in these design problems. Initial directions found were proposed in the first DesignX workshop in October 2015 and published in the design journal Shè Jì. In October 2016, another DesignX workshop was held at Tongji University in Shanghai, overlapping with the timing of the RSD5 Symposium where this workshop was convened. 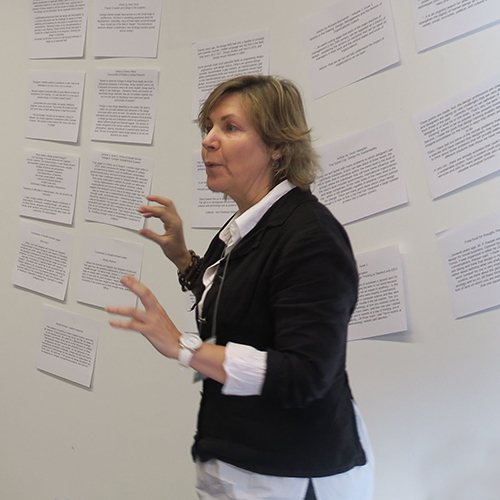 The timing of these events presented an opportunity to explore the design education and the research concepts, ideas and directions of thought that emerged from the multiple discussions and reflections in this experimental workshop. The aim of this paper is to report on the workshop as a continuing project in the DesignX discourse and to share reflections and recommendations from this working group.